This course is aimed at all those who operate portable cutting and grinding equipment including stihl saws and hand held grinders. 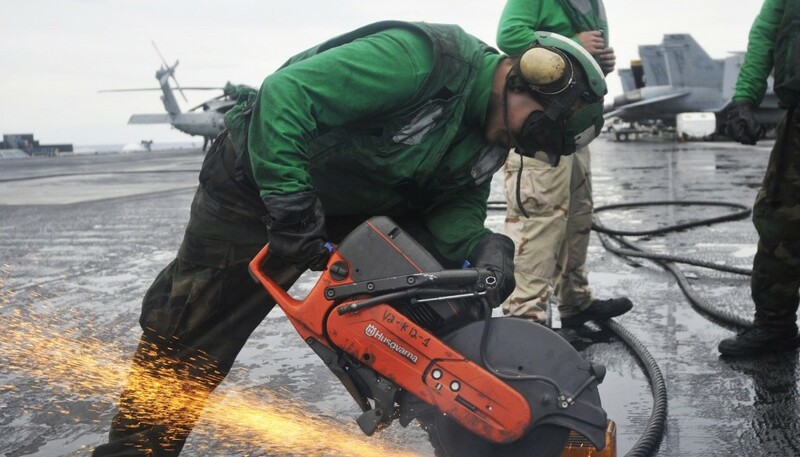 A large number of users of portable cutting and grinding equipment have not been properly trained in using these tools, which leads to unsafe use and can contribute to accidents. This course aims to reduce the risk of accidents from portable cutting equipment by showing delegates how to safely use this equipment. Inspect and recognise the safe operation of the cutting equipment. Select, inspect and change a cutting or grinding wheel correctly. Identify the main associated hazards and control measures. Recognise the correct personal protective equipment to reduce the risk of personal injury. On successful completion of the course, delegates will receive a certificate. This training takes place at our training venue in Team Valley, Gateshead. The maximum number of delegates for this course is 16. Please note that Northern Bear Safety reserves the right to cancel open courses at any time, we will notify you of any course cancellations as soon as possible.